As a superb space saving solution, the Obaby Cot Bed Under Drawer offers some much needed storage space for baby’s numerous items. Sleek, stylish and simple to use, the drawer is mounted on castors to offer quick and easy access to baby’s stored items and features recessed handles for that timeless look. 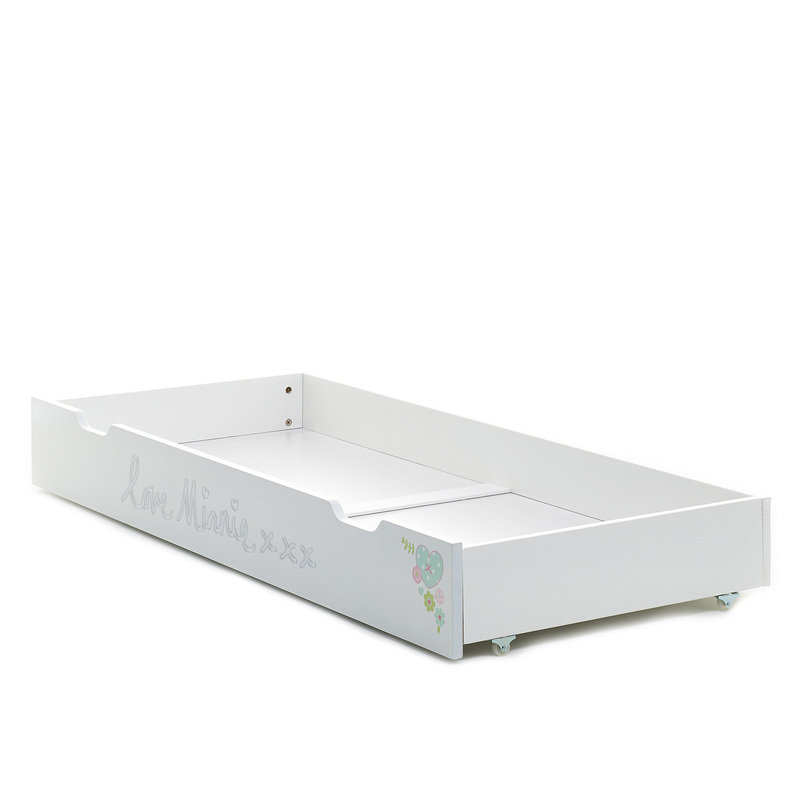 As part of Obaby’s licensed Disney Love Minnie (Mouse) range, the drawer has been designed for use with Obaby’s Love Minnie Deluxe Cot Bed, however the drawer can also be used with many other cot beds due to its standard size.